DOB has extended the deadline by which many of the city’s construction workers will need to have at least 30 hours of safety training, and by which construction supervisors will need 62 hours of training. This requirement was set to kick in on December 1, 2018; workers will now have until June 1, 2019 to complete this training. These workers are already required to have a minimum of 10 hours of safety training and the 10-hour requirement remains unchanged. In addition, DOB will extend the law’s final deadline, by which workers will need 40 hours of training, from May 1, 2019 to September 1, 2020. See the associated Service Update and press release for further details on the changes. See our website for information on registering for DOB NOW and DOB NOW training sessions. And be sure to check out DOB's YouTube channel for tutorials on all DOB NOW functions. Effective January 1, 2020, the Department will require anyone performing gas work to possess either a Department-issued Master Plumber License or a Qualification for Gas Work, pursuant to Local Law 150 of 2016. Certificate of Competence holders (Certificate Only Plumbers) will also need to obtain a Qualification for Gas Work if performing gas work on or after January 1, 2020. DOB NOW: Licensing is the only method to apply for Gas Work Qualifications and new requests for Journeyman Plumber registrations. NOTE: The Gas Work Qualification is a New York City Code requirement that applies to individuals performing gas work – it is different from the Gas Operator Qualification which is being required by local utilities to do inspections and/or maintenance on USDOT jurisdictional gas piping. For more details, please see the Service Update. In order to better facilitate the transition to online-only elevator compliance filings, the Department has issued a series of five follow-up notices to the July Service Notice detailing the new requirements for filings in DOB NOW: Safety. Make sure you're up to date with the latest information to ensure compliance and prevent penalties. Follow-up #1: Additional information regarding DOB's Service Notice that paper elevator compliance filings will not be accepted after August 31 and effective September 17 must be submitted online. Follow-up #2: To accommodate owners and industry members in transitioning to DOB NOW, the Department will continue to allow paper filings in certain other circumstances. Follow-up #3: The deadline for resubmissions is extended to June 30, 2019 for 'rejected' Elevator Inspection/Test Reports (ELV3) and Affirmation of Correction (ELV29) filings for 2017 and prior year reporting cycles. Follow-up #4: To facilitate the transition to DOB NOW, elevator inspection reports, elevator test reports, and Affirmations of Correction filings submitted in DOB NOW: Safety between November 12, 2018 and March 31, 2019 will not be charged late fees. Follow-up #5: New option in DOB NOW: Safety to allow for Elevator Inspection/Test Reports (ELV3) to be filed without a Witnessing Agency. 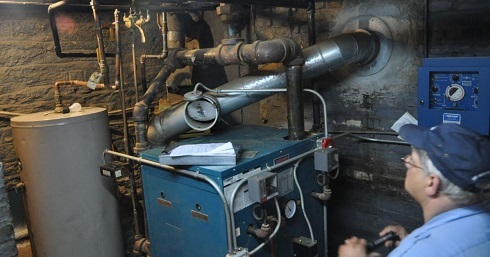 $112,000 in penalties issued to property owner Choi Kin Li for converting a legal two-family home at 1118 65th Street, Brooklyn into an illegal 6-family home, by constructing four additional apartments in the cellar, first floor and second floor. $81,250 in penalties issued to property owner 324 East 14 St. LLC for the illegal transient use of an apartment at 324 East 14th Street, Manhattan, that was being rented out on Airbnb. Violations were also issued for illegal work without a permit, and safety issues found in the apartment. $80,000 in penalties issued to Hylan New Dorp Realty LLC and Lamar Advertising of Penn LLC for two illegal outdoor advertising signs displayed at 2506 Hylan Boulevard, Staten Island. 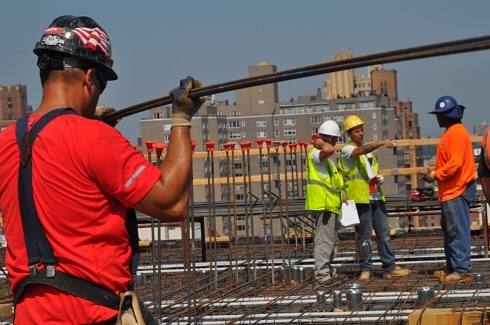 $10,000 in penalties issued to contractor Surjeet Singh, at 91-22 175th Street, Queens, for a failure to safeguard their construction site, a new building project at the location. The site was missing guard rails around floor openings in the building, and the staircases contained excessive construction debris. Update Page # 63 reflects changes made by 1 RCNY 3610-05 (effective 9/28/2018), in relation to updating the requirements for the posting of information about elevator carrying capacity, and the detection and regulation of overloaded elevators. Update Page # 64 reflects changes made by Local Law 105 of 2018 (effective 11/25/2018), in relation to small wind turbines. Update Page # 65 reflects changes made by Local Law 106 of 2018 (effective 11/25/2018), in relation to allowing residential cooperatives to consolidate required energy efficiency reports. The Site Safety Professional Annual Report on the implementation of Local Law 224 of 2017 is now available online. The report includes information on the Site Safety Manager and Site Safety Coordinator certification process and a census of on-the-job certificate holders and active sites requiring site safety professionals.